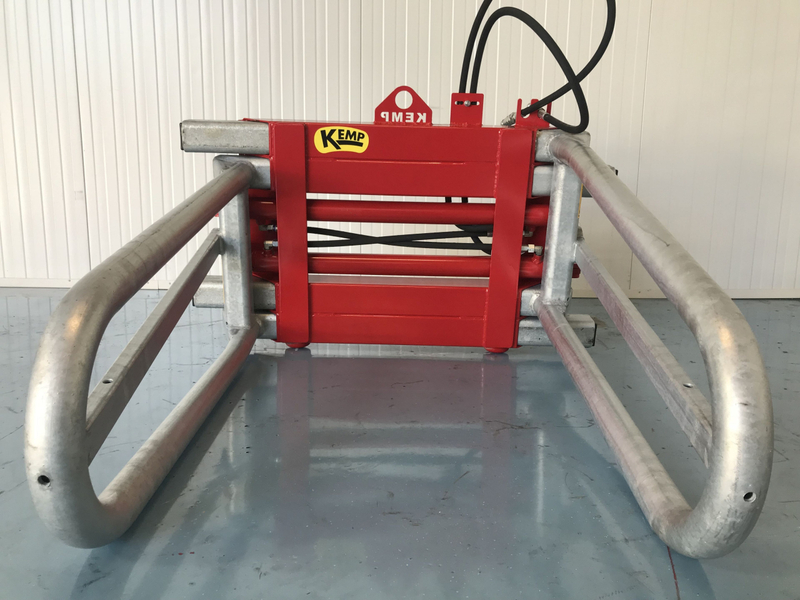 By the most common clamps, the clamping arms are completely galvanized, which makes the steel no longer sensitive to the effects of the weather or dirt. If the steel is not galvanized, it is treated with two components primer/coating. 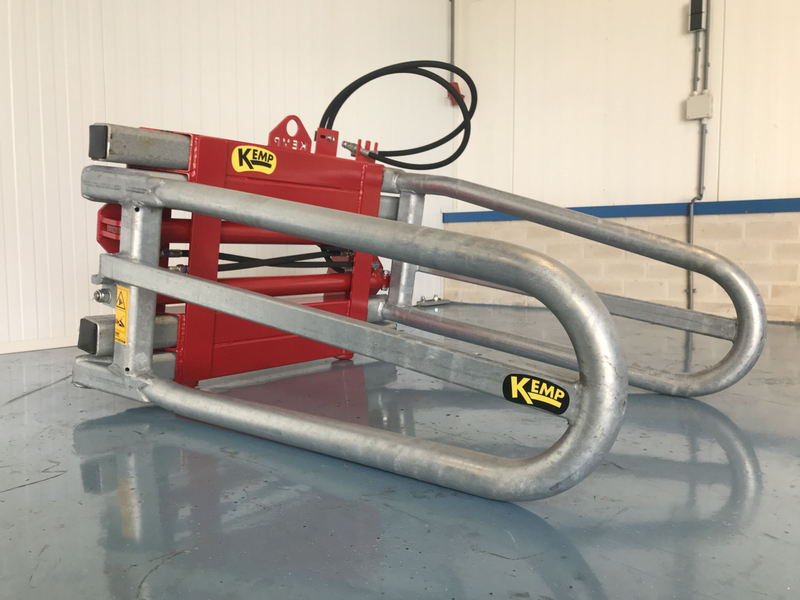 The BK is the lightest bale clamp in Kemp’s product range, which makes this bale clamp suitable for mini-loaders and light tractors (up to 80 hp). 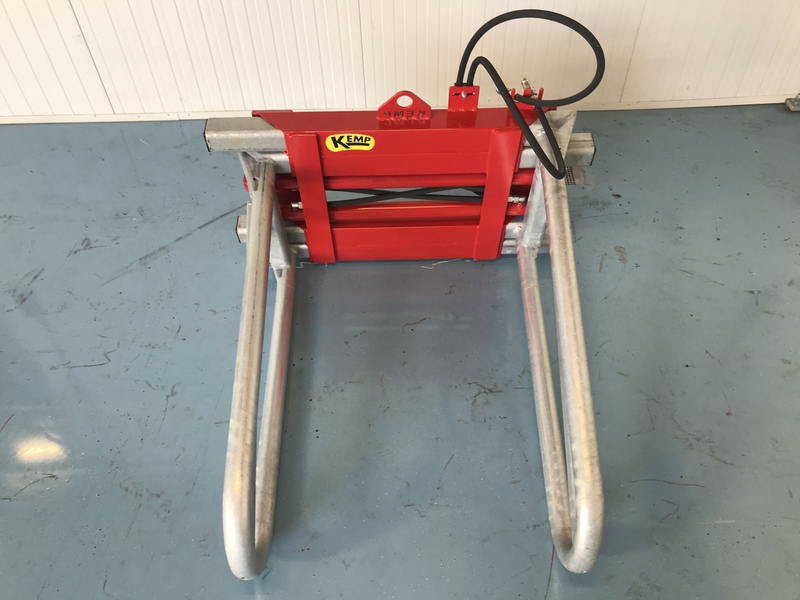 Because the BK only has to pick up one bale at a time, we have been able to construct this clamp light (± 200 kg). The clamp tubes are bent from a single tube of 60x6.3 mm, the tube therefore has no weak points. The height of the clamping arms are 360 mm. The BK is available in two versions, namely the BK 1.900 and the BK 2.100. 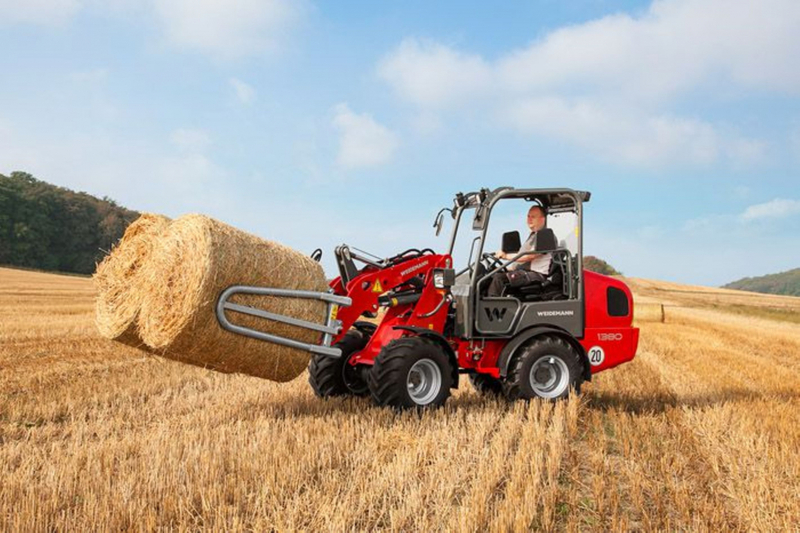 The BK 2.100 is capable to pick up larger bales and thus also heavier. 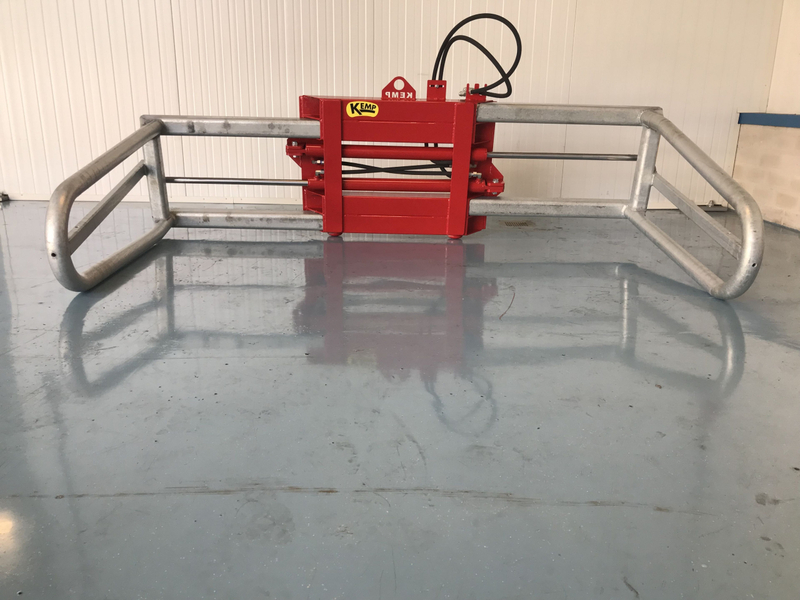 To make this possible, the clamp has been implemented with thicker steel, the cylinders are larger and the clamping arms are galvanized. 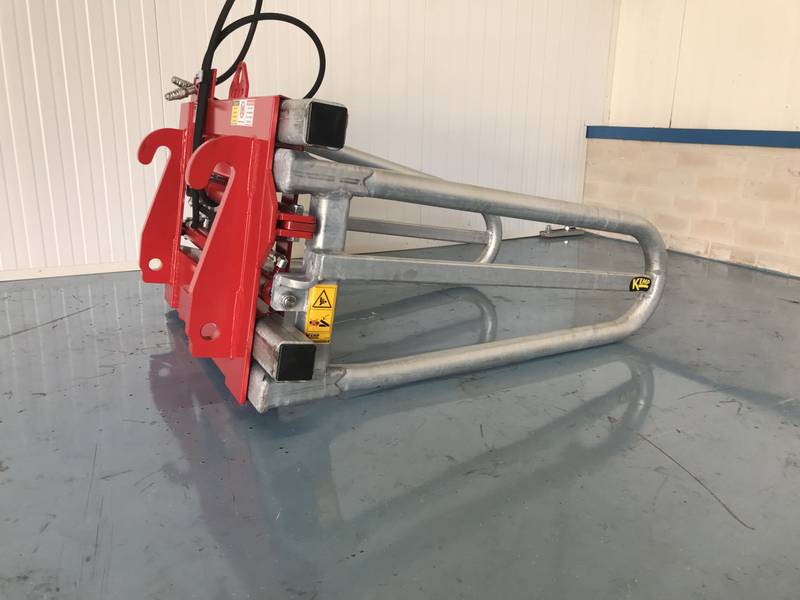 The light bale clamp is available with the attachments that belong to your vehicle (for the attachment parts, see the document: Kemp attachment parts).